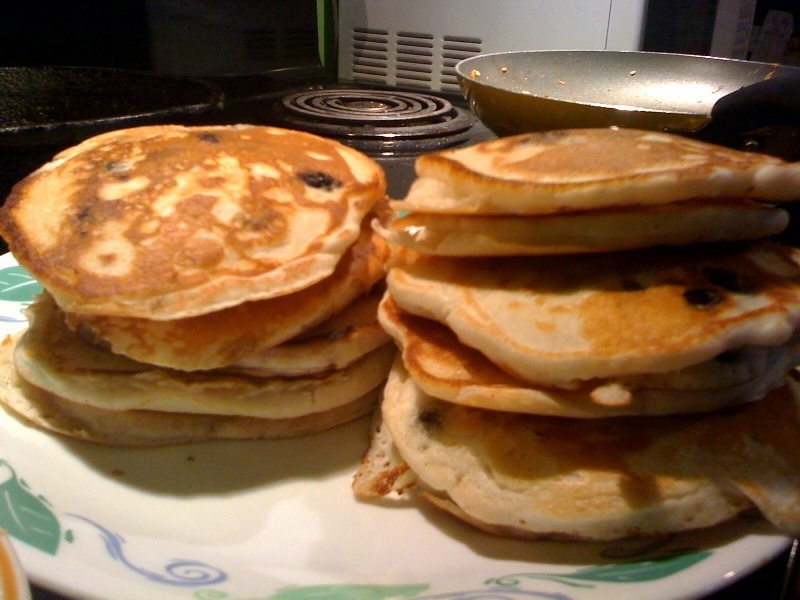 One food that everyone likes -- pancakes. SFoodie, a great food blog from SF Weekly, recently published a blog post about the top five foods everyone likes: chocolate, NY-style pizza, ice cream, pie and french fries. I wholeheartedly agree with the list. But this just scraps at the surface of go-to staples in an American diet. With the help of my uncle and my mom (the two people available who were as interested in this list as I was), I compiled a list of the additional foods I think everyone likes. Think you have a better food for the list? Comment away. A. The only thing that i think makes this list remotely valid is the fact that you can prepare all of the dished above so many ways (or there are so many different varieties)! Is Bread too broad a category? B/C I love bagels, rolls, english muffins, regular old slices, etc. #3.. hmm. How much was that worth on a triple letter again?… like 63? I know it’s been discussed, but I’m going to have to say mashed potatoes is a good one. Or, if we need to be more broad, potatoes. Not really everyone, many vegetarians and non-americans don’t eat half the things you’ve listed. I don’t think you have a very good compilation, no offence.